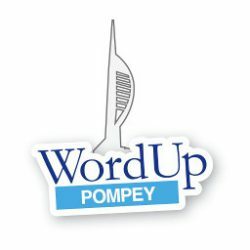 WordPress Portsmouth Meetup - 17 Apr 2019 - Useful Accessibility Tools - WordUp Pompey! Graham is the founder of Coolfields Consulting, which focuses on web accessibility, website design and development. We are delighted that he has agreed to share his knowledge with our MeetUp group and travel from his Surrey base. He has more than 15 years experience of web development and for more than 10 years has advised on web accessibility. He has delivered presentation to WordCamps across the UK and is a member of the Make WordPress Accessible group. He predominantly uses WordPress as his Content Management System (CMS) and this will make our event even more useful for both beginner and more experienced WordPress users. There will be refreshments available at the event, please let us know of any special dietary restrictions when you book. This information will only be used to help arrange refreshments. Thank you to our group sponsors RedIT and 34SP for supporting us with a venue and refreshments.